How to choose the best recording software – this question were mostly asked by people who want nothing but the best in recording. Most musician nowadays want their own home recording studio as perfect as possible. To achieve such possible perfection, the right music recording software that provides the right sound and fit for any musical enterprise is much more important. The most common recording software installed in the computer is the DAW or Digital Audio Workstation. 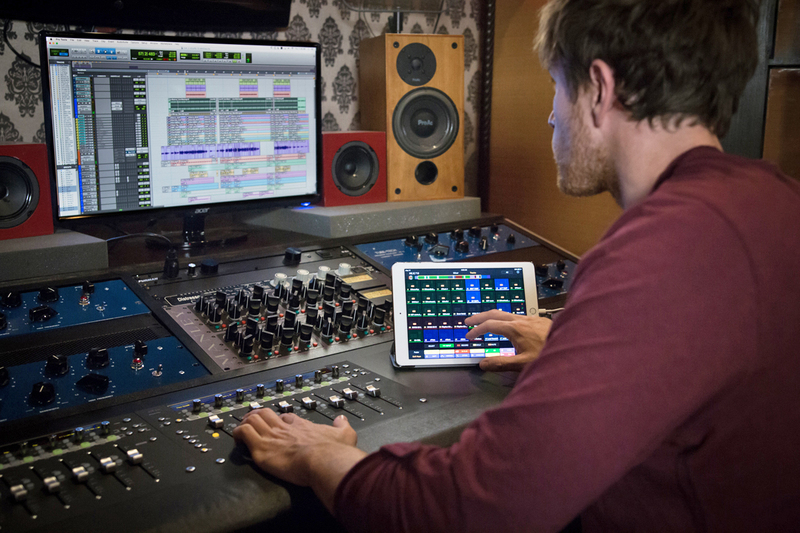 There are various types of DAW or music recording software nowadays but there are three important things you need to consider. Even you are a beginner or not, budget is still a thing. Whatever type you choose make sure you can afford it. You do not have to compromise your finances just to purchase a too expensive DAW. You do not have to scan and read the 50 pages manual just to learn how to use the music recording software you have bought. You must ask yourself how you are going to use it at the very first place. If the software do not have the ability to do what you want to do then never buy that thing. You must be aware what that DAW can offer or else everything will only end to frustration. Buy a software based on knowledge not just on budget. Any size of budget can produce professional audio, you just have to understand the compression of your home studio. Everyone is looking for professional techniques to enhance the quality of the sound recordings. What is the most effective? Nothing but the compression techniques. Here are some ways on how you’re going to use them. There are few peaks in the vocal phrases that stick out too much. Using compression will make it all together because it push the separated vocal a tiny bit into the track. We still must be careful when applying compression to vocal tracks with jump out peaks. This is to avoid breaking those peaks. Using compression is not really more on effect, it is more to be used as a level handler. Compressing the whole waveform is important to make the level of the vocal extremely level and fixed. When you turn the threshold all the way down it affects the whole signal making each and every phrased absolutely compressed. However, there is a big possibility that it will not produce a good sound unless the singer doesn’t know how to handle dynamics well. When this case happens, you need to keep the sound flat. Flattening the vocal is not just good on soft sound, it is also great on rock and metal tracks. It can able to keep the vocal from being drowned by the instruments ranging in the track. Threshold truly affects the whole track. Let your drum track breath by compressing the snare drum timely to the track. When the snare drum breaths in time, the track will push the drum sound forward in order to create a tighter sound. Attacking must not be dull. Put the attack all the way fast and then slowly pull the attack slider back. Do this until the snap of the snare hit comes out. The snare compression can breathe with the track by playing with the release. Let the compressor go as soon as the next snare hit happens, the effect is simply subtle. The attack and release can make sound different. The fast attack of the compressor can make kick drum thumper and it can help reduce the snap from the beater to create a mellower sound. To make the sound thicker just cut down the initial beater attack fast. You can get the snap in by just lowering the attack time even without the clamping of the compressor. The slower attack time is vital to obtain the beater all the way through even for times you might want an earthier bass drum tone. There are many different uses of compression techniques. Sometimes, a tweak in the attack and the release time is enough to create perfect sound recording. Just bear in mind that it depends on the situation. There are also some incidents that you need to flatten out specific parts by heavy compression to fit things. Whatever techniques you’ve been up to, the compression is an incomparably quick and ready to go trick. Some research shows that the most commonly use software is the Pro Tool. It seems to have the highest percentage. But the most in demand thing when it comes to affordability, quality and features is the reaper. You can able to download this software for free and you can able to download actual recording project as well with no limitations. Many software cost over a few hundred dollars. All of them provide the same look and feel of their professional level counterparts. Choosing the best recording software can actually be tricky. There are many DAWs available around and everyone is claiming to be the best. The other thing is, they are all similar in nature. Some recording software have been ranked already but at the end, personal preferences would still win. How you are planning to use DAW should also be considered. If you are starting a personal home recording studio but the budget is a big issue then focus on the price. However, if you would like to go for a big music production the compability and authenticity may be your main concern. You can choose any software based on your own preferences. Choose what kind you want. Somebody is choosing to have those costly DAWs but some prefer to have those fairly inexpensive. Many of these are for better and for worse. Each of them is definitely different. Select those you think are the best. However, don’t forget to consider the three important things above to make sure that what you’re buying is worth satisfying.